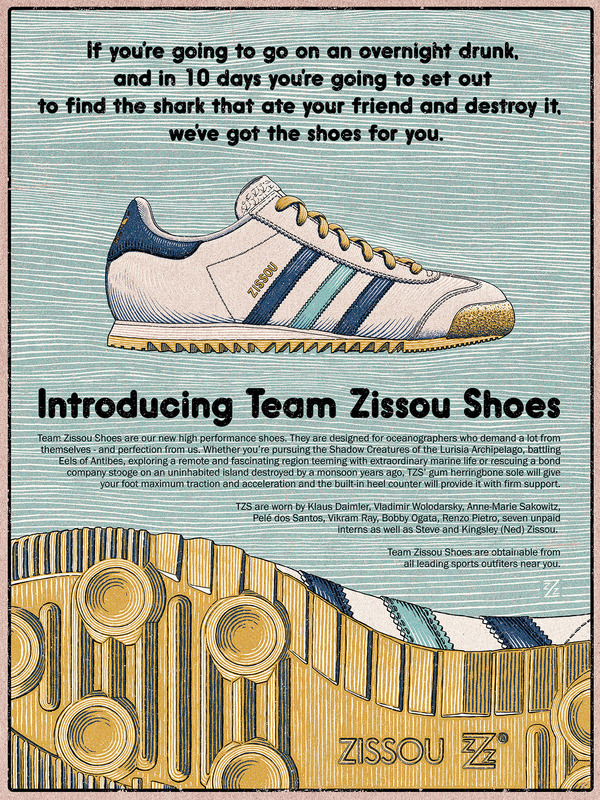 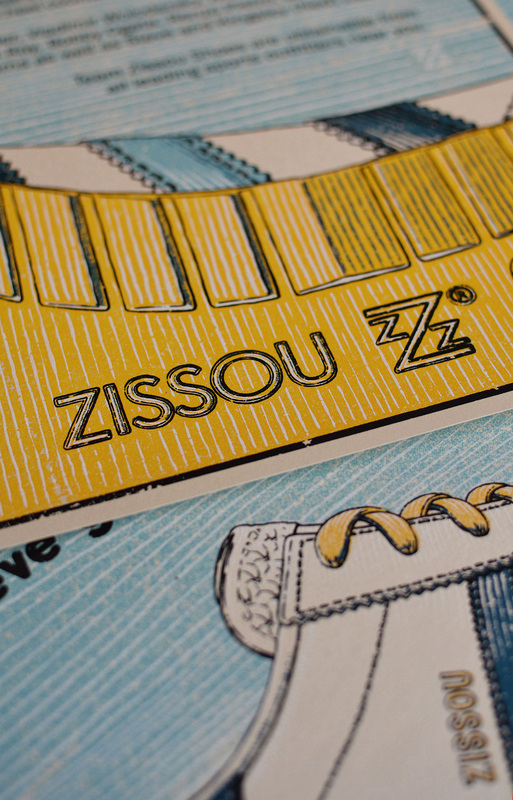 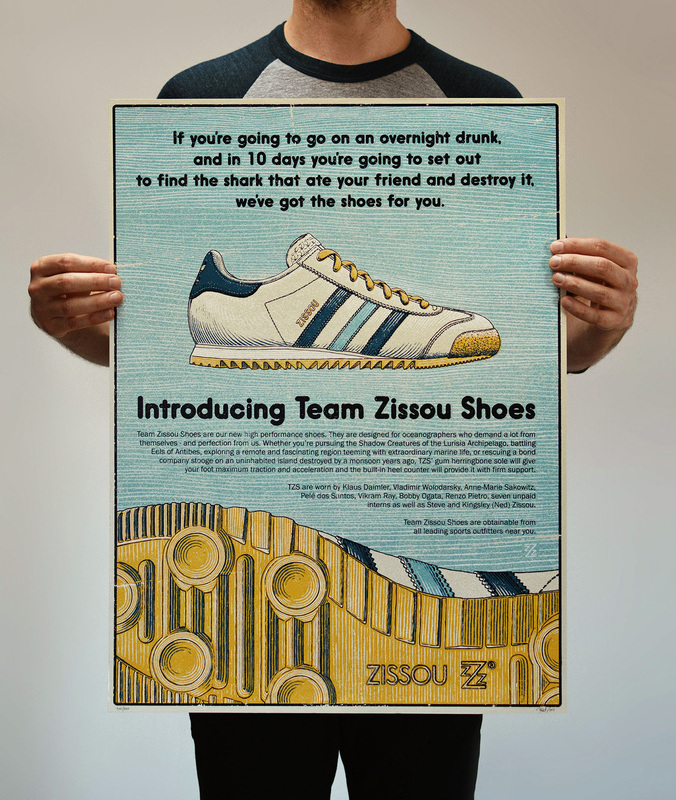 “Team Zissou Shoes” poster created for Spoke Art’s Bad Dads – art show tribute to the films of Wes Anderson, New York, August 2015. 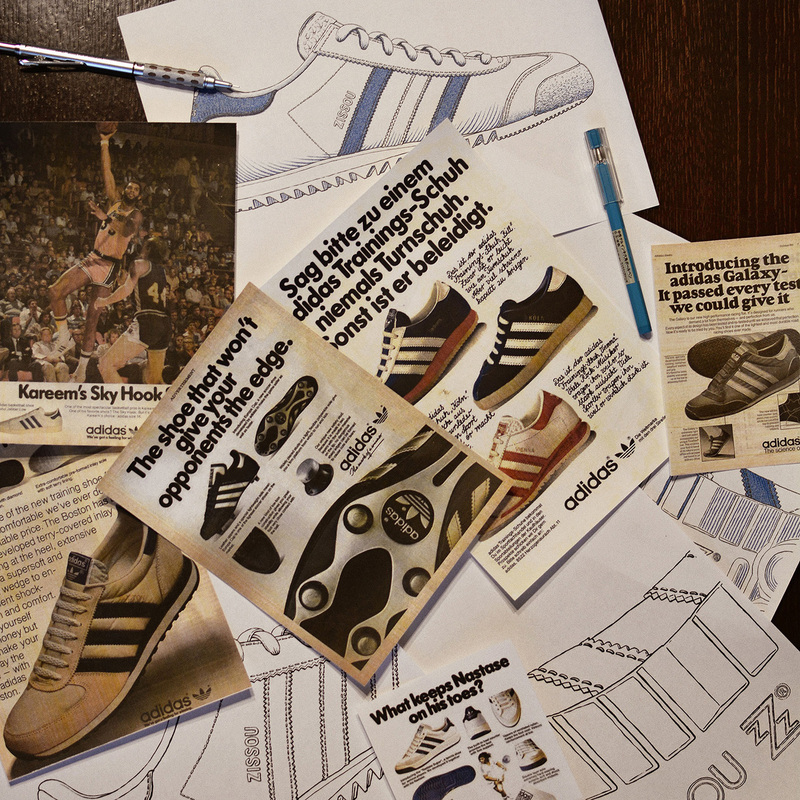 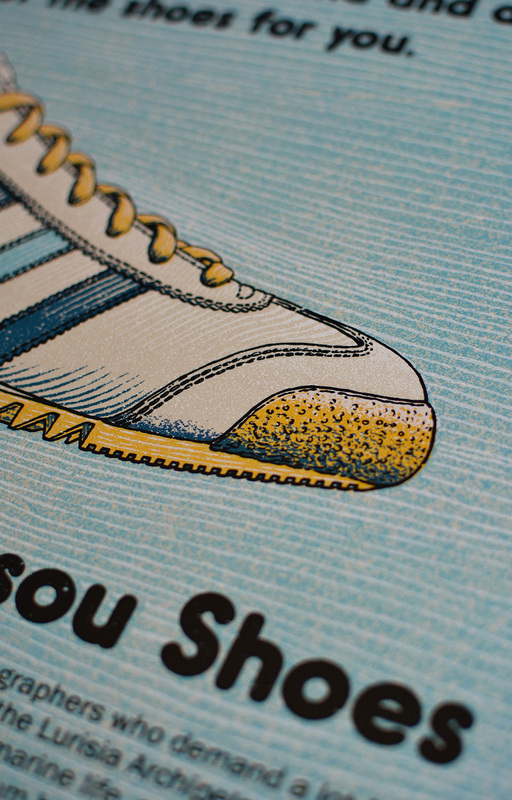 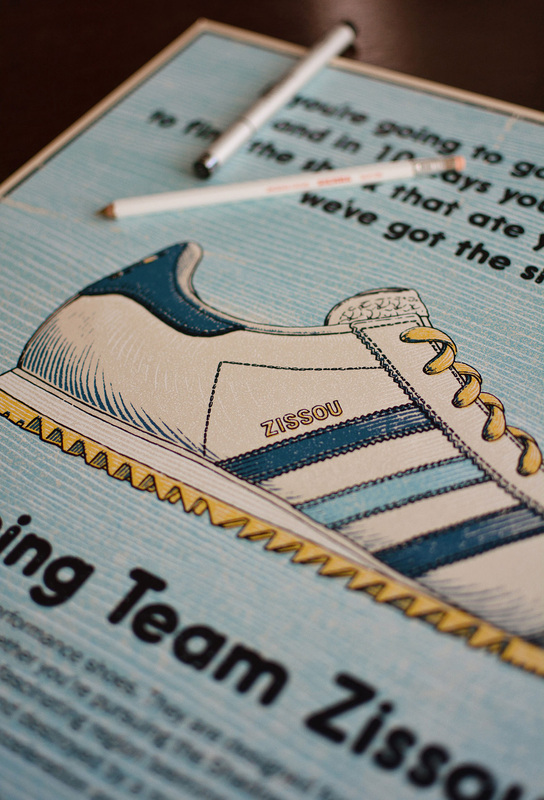 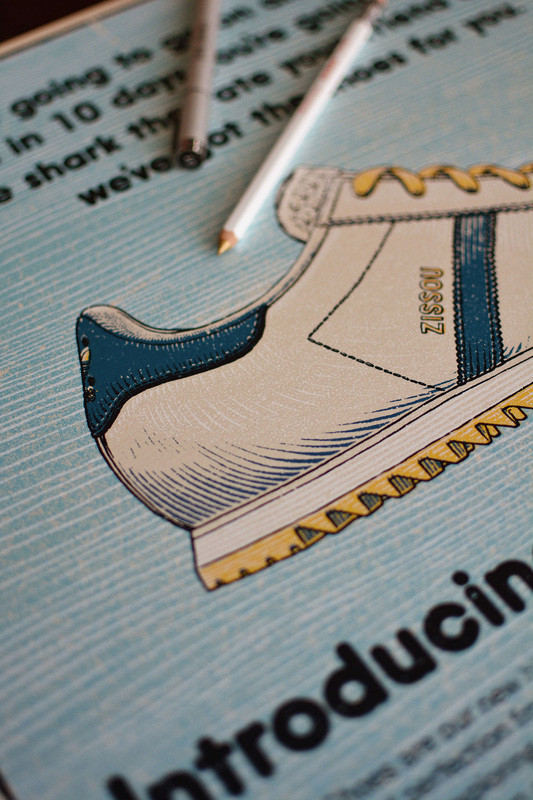 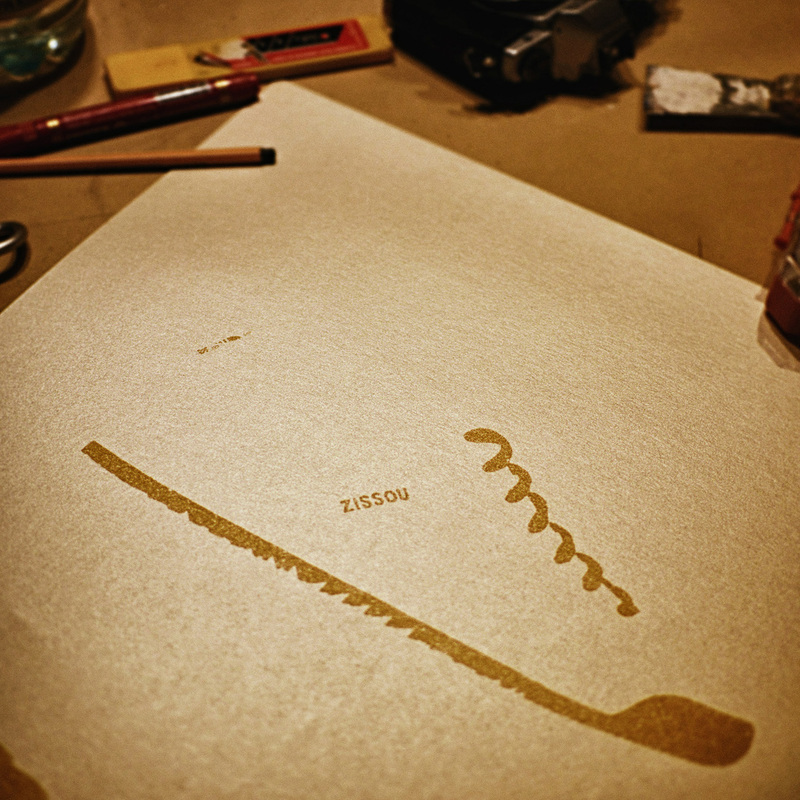 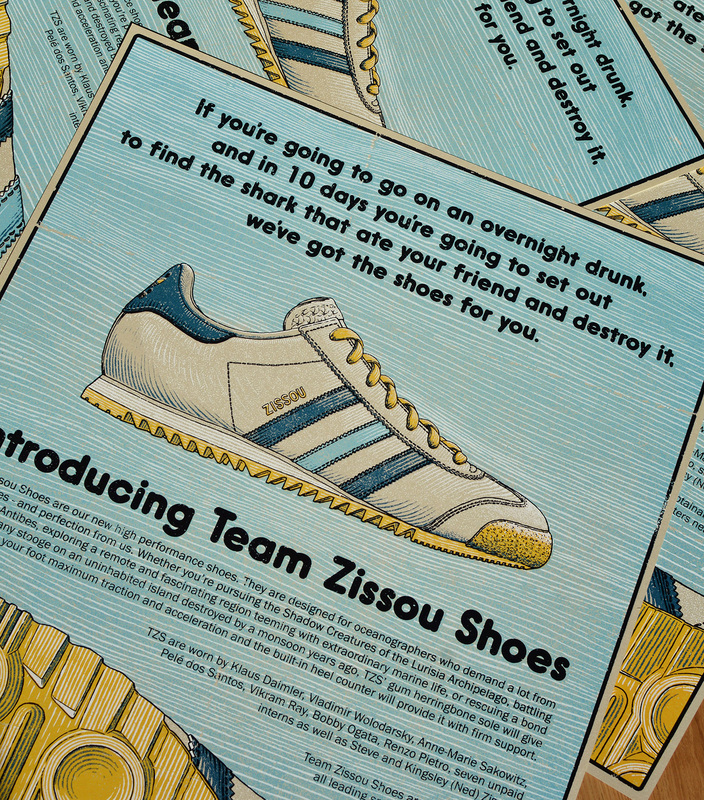 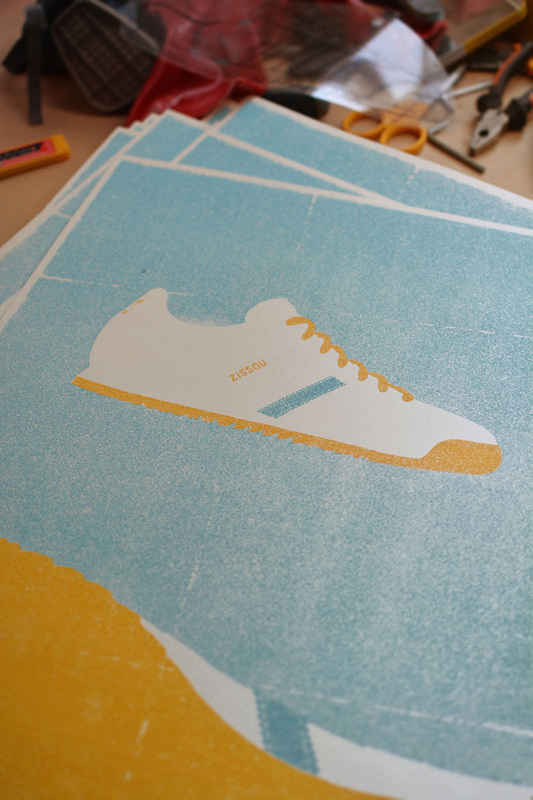 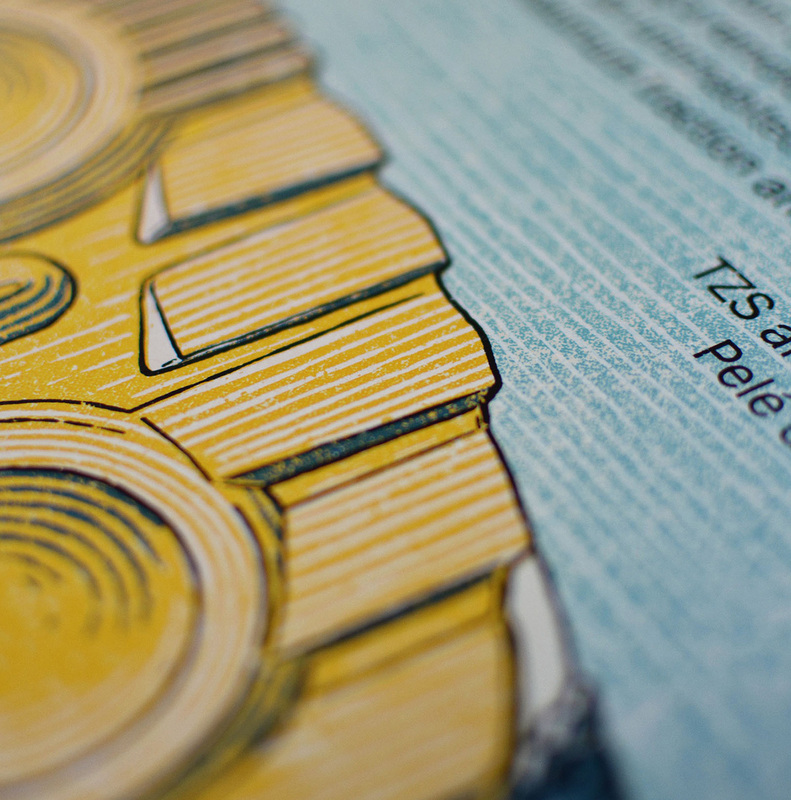 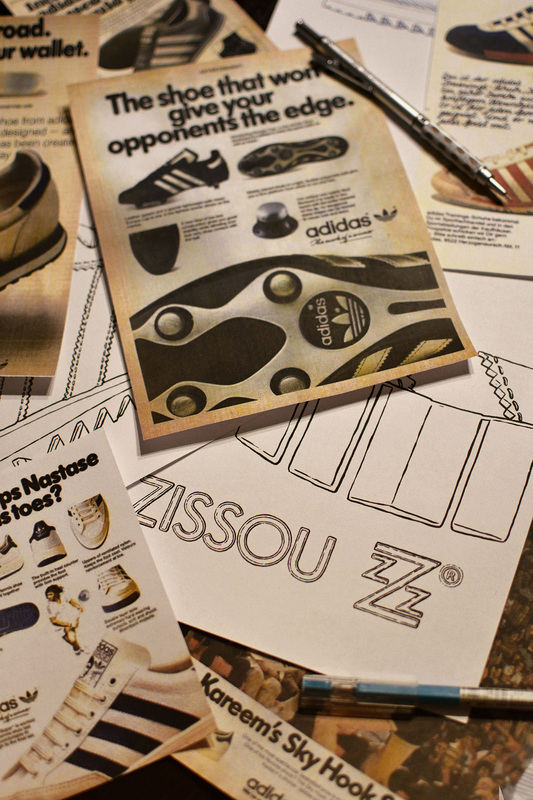 The piece was inspired by the quotes from “Life Aquatic” and real sneakers’ ads from the 70’s. 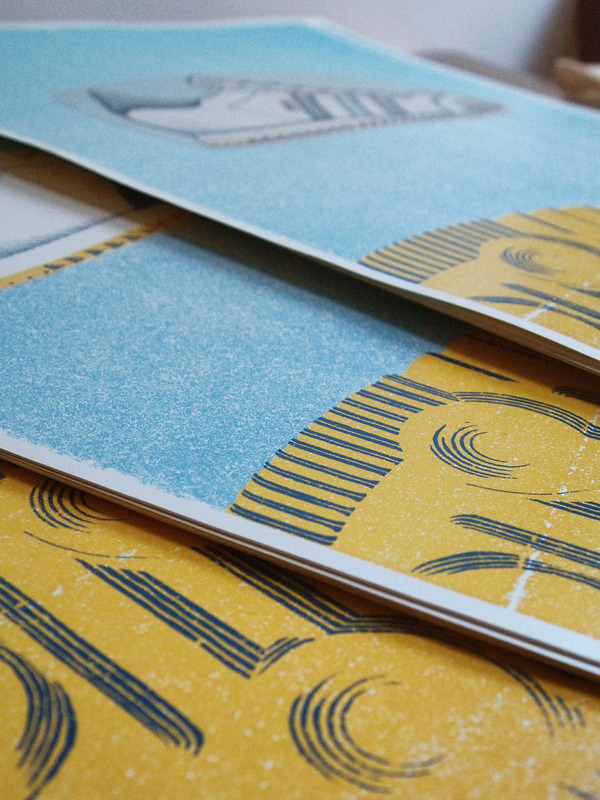 5 colour screen print printed on 230gr Stardream Opal metallic paper Size: 18×24′ Signed and numbered limited edition of 100.